Common to all our balls is that the quality is high and the durability long. An optimally round soccer ball consists of 32 panels made up of 12 pentagons and 20 hexagons. The 32 panels are sewn together by hand using 630 double stitches and 60 corner stitches and are closed off – especially for SELECT – with a doubleknot. The ball lasts longer this way. Inside the ball is a Zero-Wing bladder made of high-performance natural latex. The concept has been developed to ensure that both the bladder and the ball is as round as possible. We solely use latex bladders in our footballs with a built-in balance point at the opposite side of the valve hole. This, together with the Zero-Wing concept, ensures a perfectly balanced ball with a very lively bounce. To stabilize the ball and ensure it remains round, the 32 panels are lined with several layers of textile material. The lining helps to adjust the softness and improves the contact between the ball and the foot. The outer layer of the ball is made of synthetic leather in polyurethane (PU). The surface of this material can be either ”shiny”, ”grain” or “pattern” and consists of lots of PU fibers. Combined, this gives a strong surface with consistent softness. To stabilize the ball and to ensure its roundness, the 32 panels are lined with several layers of textile material. The lining helps to adjust the softness, improves the contact between the ball and the foot and helps to keep the ball water resistant. 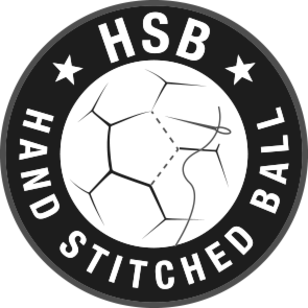 The composition of the materials used in the lining is extremely important and through a great number of tests, we have managed to ensure the optimal combination of linings to guarantee the stability and playing qualities of the ball. The outer layer of the ball is made of synthetic leather in micro fiber polyurethane (PU). The surface of this material consists of lots of PU fibres, which give the football a strong surface with consistent softness. BRILLANT SUPER is stitched by hand. The 32 panels are sewn together using 630 double stitches and 60 corner stitches and are closed off (especially for SELECT) with a double knot. The ball lasts longer this way.